It has been said: The house always wins. But in an alternate history of mechanical computation and pre- digital “cybercrime”, this was by no means the case. 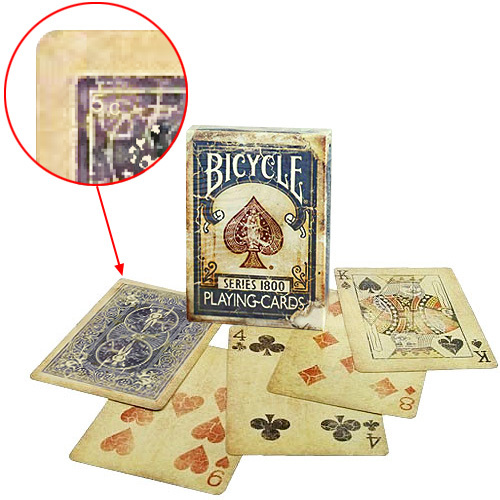 In the late 1800s, in the war-torn United States, an elite gang of clackers—Victorian-era machine hackers—devised a predictive card-counting algorithm called the Fortuna Script. 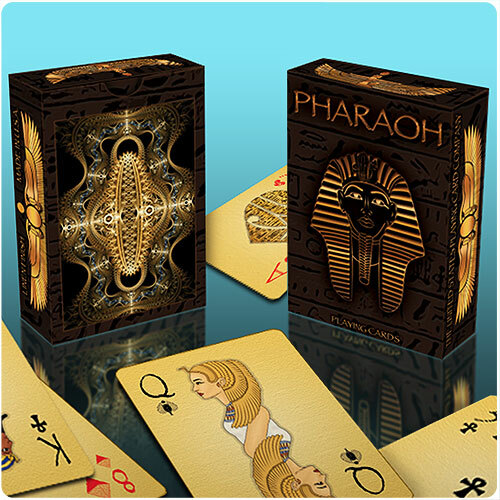 These gambling bandits leveraged their technological advantage to beat the house with overwhelming success, sending politically powerful casino barons into ruin. 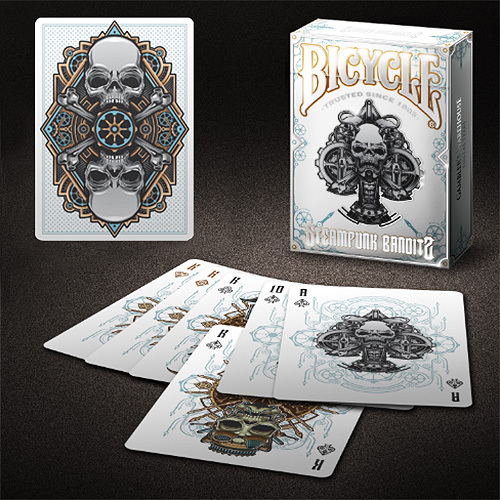 Bicycle’s Steampunk Bandits playing cards capture and commemorate this legend in beautifully designed renderings based on contemporary artists’ depictions of the bandits themselves, oft portrayed as skeletons. 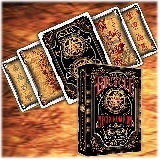 • Bicycle Steampunk Bandits Limited Single Print Run of 2500 decks! 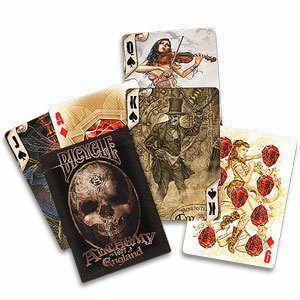 • Each deck features unique art for all four suits of court cards—a miniature steampunk gallery!